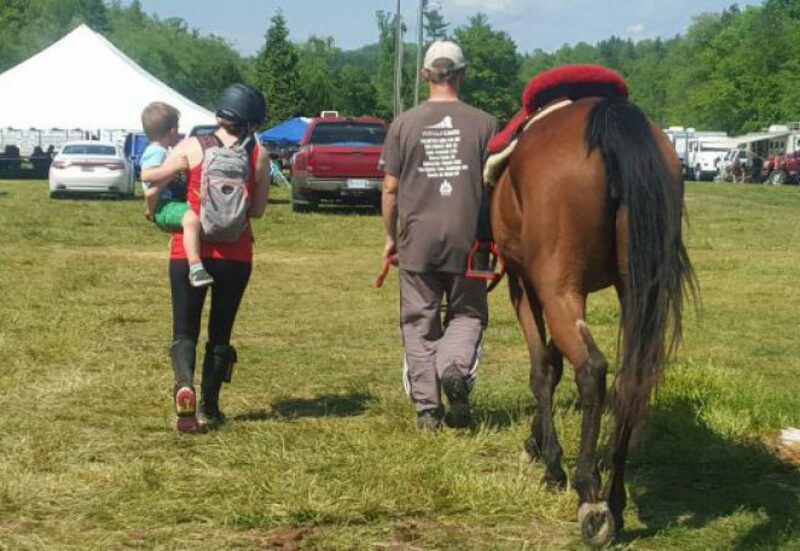 Horse events in any discipline don’t run unless those in the community step up and lend a hand. There are so many positions that need filled and hours that need “worked” and very little appreciation for those behind the scenes making these events happen. In order to help spread my love of volunteering to others, I’m hosting a year long contest for the first time in 2018. Get out and volunteer, keep track of the hours you put in, and collect prizes! Report to me on any blog post, on this page, or by email at agemofahorse at gmail dot com the following information: name of the event, position worked, hours worked. Get these in as soon as possible after each event, but by the latest the end of each month to count towards the prizes. This must be true volunteerism – if you get money in return for the time you spent it will not count. Swag bags, discounted entries to events or schooling days, year end awards are fine, just no hard currency. Any position worked, for any length of time, at any event, in any discipline. Must be an actual event though: schooling days, clinics, camps etc will not count. Prep work for an event doesn’t count either. I’m looking for man hours spent on the ground during a competition out there meeting people, learning and lending a helping hand. Monthly – random drawing at the end of each month of anyone who submitted a time that month. $20 or under flash prize. Quarterly – the person with the highest number of points that quarter will win a prize. Prizes vary. 1st quarter is a $50 gift package from Riding Warehouse. Year end – Champion gets an embroidered horse cooler. Reserve Champion gets a leather halter with an engraved plate. I’ll update this page as times get submitted and with the winners as we go along. Feel free to share this contest far and wide, the more the merrier! I hope you all get out there and put the time in to give back and hope you have fun playing along. I’m adding myself to the list, but don’t worry I’m not eligible for my own awards. The $900 Facebook Pony – 17 points, Won Q1! ‘Fraidy Cat Eventing – 15 points, Won in February! 3 Day Adventures with Horses – 3 points, Won in January!